A Milestone Year for Polar Plunges! The 2014 Law Enforcement Torch Run Polar Plunge, Presented by GEICO, proved once again to be the official event of winter! A record 7,316 warm-hearted Plungers took to the icy waters at 20 locations throughout the state. Additionally, the Polar Plunge raised more than $2 million for the first time in our state’s history! See results for each Plunge location. A big “thank you” to everyone who supported the event and joined us in “Freezin’ for a Reason”! 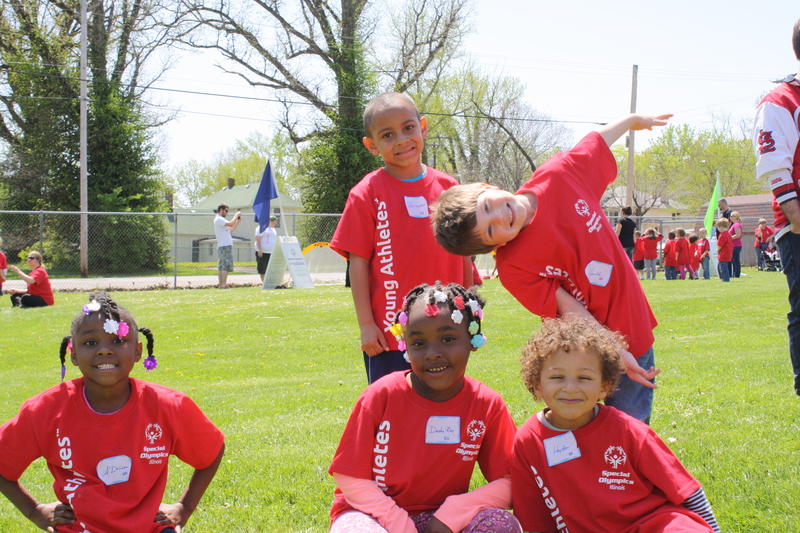 Athletes who received a gold medal at their Spring Games or District competition qualified for the Summer Games June 13-15 in Bloomington-Normal. Approximately 4,000 athletes from across the state are expected to converge for three days of exciting competition. New this year will be a Summer Games mobile app to provide attendees a variety of up-to-date information about the Games. 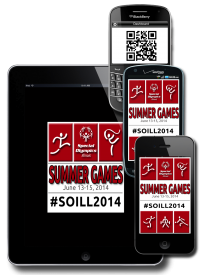 The 2014 Special Olympics Illinois Summer Games mobile app is expected to launch in the beginning of June. Read more about the mobile app and other changes at Summer Games. Tribute to Champions is the name of the kickoff event to our Summer Games and I think it’s appropriately named. But, it goes above and beyond our champion athletes. The event will be a time to recognize our volunteers, coaches, organizations, community and especially the families. 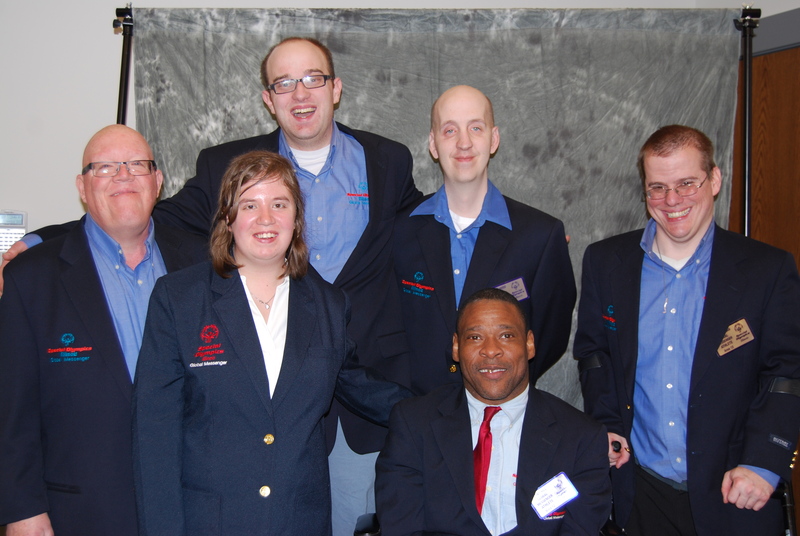 Members of Team Illinois are busy preparing for next month’s competition at the 2014 Special Olympics USA Games in New Jersey. Members of Team Illinois will meet in either Bloomington or Chicago, depending on their Illinois hometowns, to fly east on June 14. The delegation will be housed together at The College of New Jersey in Ewing, N.J. (a suburb of Trenton) and will enjoy a variety of activities in addition to their competition. Special events include Opening & Closing Ceremonies, Healthy Athletes Experience, Olympic Town, Hudson River Cruise and a Trenton Thunder (New York Yankees AA affiliate) game. They will return to Illinois on June 21 after their week of life-changing experiences. Get all the latest information about Team Illinois at the USA Games by signing up for the e-newsletter. They are the Special Olympics volunteers at every competition that you may not even see and they’re fine with that because it means you haven’t needed them. They are the medical volunteers. Whether their services are used or not, skilled medical volunteers are vital to ensuring the safety of our athletes at every Special Olympics event. Greg Eberle, Chairman of the Medical Committee for State Basketball Tournament and Summer Games, said medical volunteers are “more than a glorified First Aid station.” Many of the medical volunteers at state-level events are athletic trainers (like Eberle), nurses or EMTs who are trained to identify certain conditions that need further aid like muscle strains and sprains, seizures and blood sugar issues. 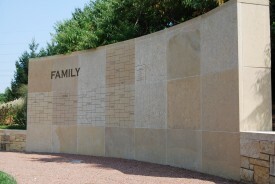 Families – Leave Your Mark in Tribute Park! Special Olympics Tribute Park is a one-of-a-kind park designed and built by Special Olympics Illinois to recognize and honor the athletes, teams, families, volunteers, donors and all who make Special Olympics a reality. 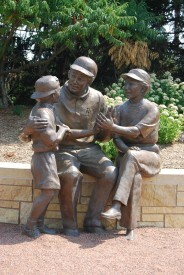 The beautifully landscaped park features some stunning life-size bronze statues that pay tribute to the athletes and families of Special Olympics Illinois. There is also a specially designed black granite water wall, inscribed with the words “Flame of Hope” that highlights the driving force behind Special Olympics Illinois. The athlete oath beside the water wall reminds all who see it of the courage and inspiration that athletes of Special Olympics exemplify. Hundreds of brick pavers surround the bronze athlete statue and are reserved for Special Olympics athletes only. Additionally, there are three stone walls paying tribute to the Families, Volunteers and Donors who are so critical to the success of the Special Olympics movement. Improvements are currently underway at Tribute Park to create accessible walkways throughout the whole park and in preparation for the flurry of visitors that will be in town and at the park in June for the Summer Games. This recommendation came from athlete Tony Hill of Belleville, who is also a Global Messenger and former board member. Tony uses a wheelchair and found it very difficult to get around the various parts of the park through the decorative gravel/stone. The new cement walkways will be done at the end of May and ready for visitors during Summer Games! Thanks to the generosity of many, we currently have 450 athlete brick pavers and 20 families on the Family Wall of Recognition. You too can be a part of Tribute Park! 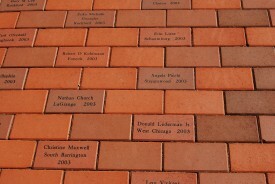 It’s a great way to honor and recognize our loved ones, someone who has inspired you or made a difference in your life and build a timeless treasure for Special Olympics Illinois while providing an ongoing way to honor special occasions and special people with a commemorative brick or place on the Wall of Recognition. Our goal is to reach 1,000 athlete bricks and 100 Family Bricks by the end of the 2014. With your support, we can meet this goal. 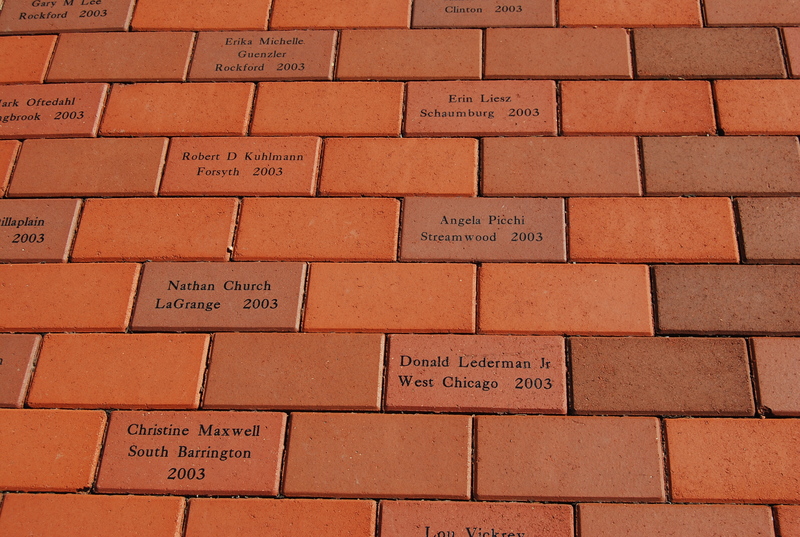 Our hope is that selling engraved bricks will also generate funds to sustain the Park’s future expenses, and planned educational enhancements as well as support a scholarship fund for the development of the athlete and family experiences at a national and international level. For more information on being a part of Tribute Park, visit our Tribute Park page or contact Karen Milligan at 1-800-394-0562. Athletes who received a gold medal in the sports of aquatics, athletics, bocce, gymnastics, powerlifting or soccer have qualified for the Summer Games from June 13 to 15 at Illinois State University and Illinois Wesleyan University in Bloomington/Normal. Approximately 4,000 athletes from across the state are expected to converge at ISU for three days of exciting competition, a thrilling Opening Ceremonies and of course the always memorable “Victory Dance” on Saturday evening at Hancock Stadium. New this year will be a Summer Games mobile app to provide attendees a variety of up-to-date information about the Games. The 2014 Special Olympics Illinois Summer Games mobile app is expected to launch in the beginning of June. Read more about the Summer Games app. Families are encouraged to attend to cheer their favorite teams on! Additionally, there will be fun in store for families including the always popular Tailgate Picnic sponsored by Alexander’s Steakhouse held on Saturday from 10:30 a.m. to 2 p.m. View information about the 2014 Summer Games and see changes for Summer Games. Families Tailgate Picnic – 10 a.m. – 2 p.m. Saturday, June 14. Tickets for the picnic will be available at Families Registration on Friday and Saturday. The Family Tailgate Picnic is sponsored by Alexander’s Steakhouse. Plan to have a dinner at Alexander’s Steakhouse while you are in town to thank them for 26 years of sponsoring the Families Tailgate Picnic! Families Resource Sessions – More information will be included in the family mailing that will go out at the end of May. Also watch on this website for more information. Several Bloomington/Normal hotels are offering special rates for Special Olympics Illinois Families for Summer Games. A limited number of rooms are available so you are encouraged to book your room as soon as possible if haven’t already done so. View Summer Games Hotel List. While you are in town for Summer Games, make sure you stop by the Special Olympics Illinois Tribute Park at the State Headquarters – it’s the only one of its kind in the nation. The park is a tribute to all the people who make Special Olympics a reality. The park includes life-size bronze statues, a specially designed water wall, a Team Walk with educational tablets that showcase the scope of the program as well as personalized bricks and squares from many who want to have a permanent spot in this beautiful park. For more information, view our Tribute Park page. 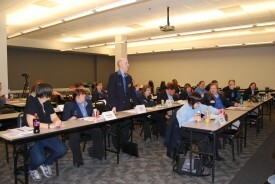 A new record was set for Special Olympics Illinois hosting the training for the largest class of new Global Messengers. Twenty-three athletes from around the state participated in the two-day training that was held at Misericordia in Chicago March 22-23. Eleven of the 18 Areas were represented, 7 of the 23 were from Chicago/Area 3. The new class of Global Messengers includes: Isabella Dunklau and Edith Reynolds (Area 1); Zinyra Ross and Mallory Taylor (Area 2); Colleen Altman, Emma Burkhalter, Jake Evey, Zola Freeman, Patrick McCarthy, Stephanie Padilla and Bill White (Area 3) ; Kaylee McLaughlin (Area 4); Michael McLaughlin (Area 5); Sandra Froman, Taylor Reidel and Drew White (Area 6); Jack Klawitter and Nicholas Lorenz (Area 7); Mike Odom and Andrew Robertson (Area 8); John “Craig” Dillaplain (Area 12); Breanna Bogucki (Area 13); and Nathan Warren (Area 16). Another record was set with this training in that we had the youngest ever athlete/Global Messenger. Jack Klawitter from Tinley Park is 8 years old and formerly participated in the Young Athletes Program. Everyone did an exceptional job! We saw a great deal of enthusiasm and passion with this diverse group, not only in the athletes but with their families and mentors as well! For more information on how to get a Global Messenger out to speak to your civic group, business or other group, please contact Karen Milligan at 309-888-2013. The group voted to elect six members to the ALPs Management Team. We received nine nomination forms and each of the candidates presented their ideas to the group before the vote was taken. The group also voted that this group would serve a 2-year term. The candidates that were voted to the ALPs Management Team are: Chris Hood, Charles Dunn, Tony Hill, Jim Morgan, Megan Graf and Daniel Smrokowski. Further define the roles and responsibilities of the ALPs Management team for next two years. Develop ALPs 3-year plan establishing tools and strategies for implementation. Create a marketing plan for ALPs. 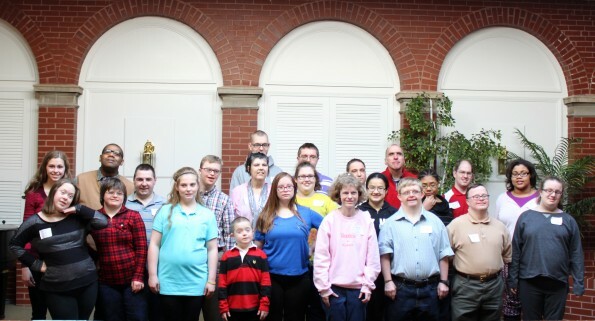 The group is excited and very ambitious to take on new roles within Special Olympics and make it an even better organization. For more information on athlete involvement in the Athlete Leadership Programs, contact Karen Milligan at 309-888-2013. Athlete Leaders Have Fun While Fundraising! The Darling Ducklings are gearing up for their eighth year of selling duck adoptions for Special Olympics Illinois Windy City Ducky Derby. This team of 41 athletes, from across Illinois, will strive to meet and exceed their ambitious goals for adoptions sold and funds raised. Last year, the Ducklings aimed for 5,000 duck adoptions and they sold almost 6,500! This is amazing considering the schedules these athletes maintain, including everything from trainings, competitions, work, volunteering, vacations and family events! They still made time and worked tirelessly to sell adoptions for their team and in support of a program that benefits their fellow athletes. Many of their family members get into the spirit too. Whether it is braving Summer heat and rainy downpours to sell ducks at events in their communities or transporting their athlete to multiple venues across counties or enlisting their employers and other businesses to allow their athletes opportunities to set up sales tables, families play a huge part in their Darling Ducklings’ success. The race will be held in Chicago on Thursday, Aug. 7. Please stop in at their fundraising page and purchase an adoption under any team member. Project UNIFY Illinois asked its participants to share their stories and visual images of Project UNIFY activities and the winners have been selected! Find out who won and read their essays and watch their videos. The Big Blue Blowout Coaches Training Weekend is celebrating its 15th year! This year’s dates are May 30-June 1. This is an opportunity to obtain multiple sport certifications in one weekend. Housing and meals are provided to those staying more than one day. While there is a fee up-front, it is returned, in its entirety as long as you attend everything you sign up for! Sign up for one course or stay the whole weekend and get up to six certifications and some great networking opportunities with other coaches from across the state. Download a letter to coaches and the schedule and registration form. Please contact Carolyn Klocek at 309-888-2598 with any questions about this event. The better the coach…The better the opportunities…The better the athlete! Coaches all across Illinois are attending great training opportunities to gain knowledge, skills and drills to improve the teams they coach. Here at Special Olympics Illinois, we take trainings very seriously and want coaches to get the most of out of them. Not only do our coaches deserve to be well trained, our athletes deserve highly trained coaches so they can reach their goals or maximum potential! Now more than ever, Special Olympics Illinois is striving to make it easier on coaches to gain the certifications they desire. The Coaches Application required 10 hours of practicum. In other words, working with athletes in the sport or course that was being offered at the training. In the early stages, the Regional Managers of Sports Training would send the paperwork home with the coach and wait for it to be returned. The results of the paperwork being returned to the SOILL staff were a mere 25 percent. Obviously a change needed to be made. The Regional Managers of Sports Training began having coaches finish the paperwork at the training with future dates of practice. This change has had impressive results as each year we are certifying 95-98 percent of coaches who attend the training. However, extra staff time is needed to follow up on 10-hour practicum and there is limited time to provide feedback to new coaches. Special Olympics Illinois already knows coaches are working with athletes, so the 10-hour practicum is a hurdle and merely adding more paperwork. The first thing a coach must do is become a Class A volunteer and take the Protective Behaviors training. This process can be done online or in person. Special Olympics Illinois offers trainings in person and requires all new coaches who wish to gain certification in a specific sport to attend an in-person training first. Renewal of certificates can be completed in person, or through a Principles of Coaching Course. The new Coaches Application will not require the 10-hour practicum. These requirements will take effect immediately. Two websites that provide training sessions and quizzes are ASEP and NFHS. On ASEP, we suggest taking the Coaching Special Olympics Athletes which costs $16.95. On NFHS, we suggest taking Coaching Unified Sports which is free of cost and a mandatory training in Illinois for participation. Both websites have Sport Specific Courses that provide a platform of sport knowledge. Special Olympics Illinois takes pride in our Coaches Education System and want to provide coaches with some parameters for excellence. A new coach should try to become certified in each sport they coach within three years. 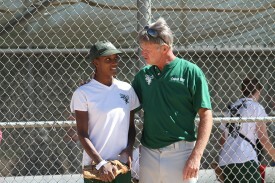 It is recommended that assistant coaches work towards certification and have a mentor, usually the head coach. Coaches of all levels and experience should make every effort to become certified in the sport they coach. When coaches are certified, they take liability away when an accident occurs. Negligence is never covered, but a coach’s certificate proves knowledge in the sport. This is another incentive to have certified coaches! Special Olympics Illinois is always striving for excellence, and looks forward to seeing all of you at a training soon! Nancy Hoekstra has been a USTA Official for 12 years. She is a strong advocate for USTA officials’ involvement and training at all levels of Adaptive Tennis competition– local, state, national and world games. Special Olympics Illinois’ biggest event of the year is fast approaching and volunteers are an essential piece of the event’s success! 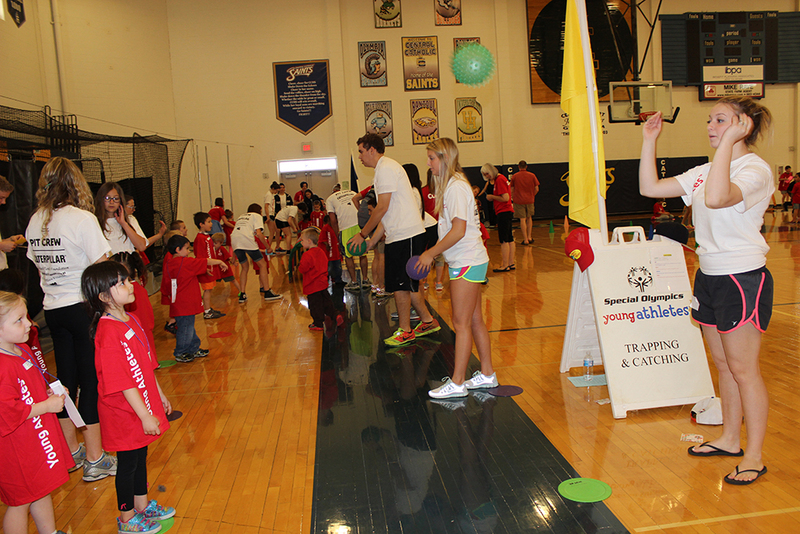 The Summer Games will be held Friday, June 13 – Sunday, June 15, at Illinois State University and Kingsley Junior High School in Normal and Illinois Wesleyan University in Bloomington. Volunteer jobs include, but are not limited to scorers, timers, escorts, souvenir sales and awards presenters. 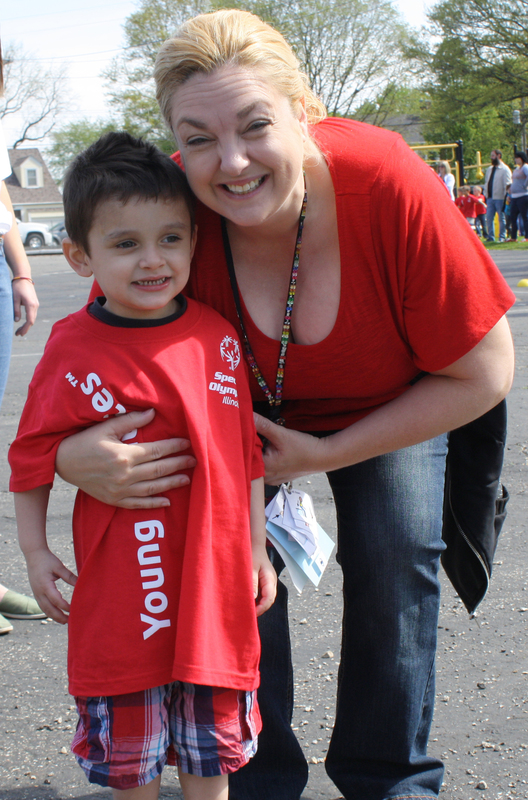 As a volunteer, Special Olympics Illinois will provide a volunteer T-shirt to all volunteers and a meal for those volunteering all day. There are five volunteer time-slots throughout the weekend. On Friday and Saturday, volunteers have the option of working a morning shift, an afternoon shift or all day. On Sunday, there is only a morning shift. You will need to register for each shift individually (ex: If you are volunteering all weekend you would register five times, each time for a specific venue). Volunteer check-in for the event will be located on-site at ISU, IWU and Kingsley Junior High School. All volunteers need to bring a valid photo ID to present at check in. Parking is free in designated areas. For this tournament, we are utilizing an online volunteer system. NO forms will be mailed out to volunteers and all future communication will come via email. If you have difficulties registering, please contact Carolyn Klocek or Aubrey Deerwester. Click on the button for the shift you’re interested in volunteering. To volunteer for multiple shifts, you must click and register for each individual shift. After clicking the button, on the next screen, scroll to the bottom of the page and click on the button that says “Click Here to Register.” This will take you to a page where you will enter your e-mail address and first name. If you are new to the system, once you type in your e-mail address and first name, it will ask you to create a volunteer profile. This is where you will give us your contact information for future events. Once you are in our system, you won’t have to enter your information again – the system saves it. When you come back, it will remember you! When your profile is completed, you will be taken back to the Summer Games volunteer page where you can choose which time and role you would like to volunteer for. It’s that simple! If you have any questions, please contact Carolyn Klocek at 309 -888-2598 or Aubrey Deerwester at 309-888-2551. 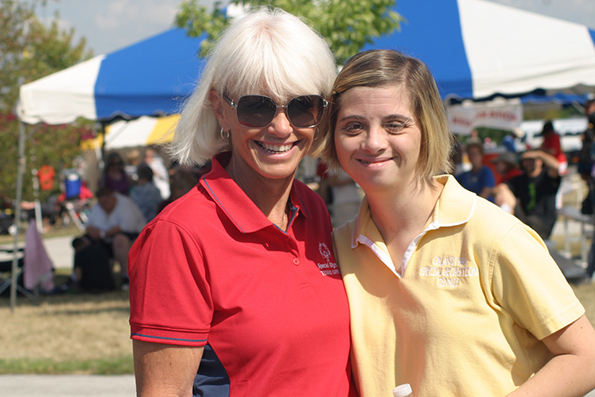 Summer is upon us which means the Special Olympics Illinois State Summer Games is only weeks away! 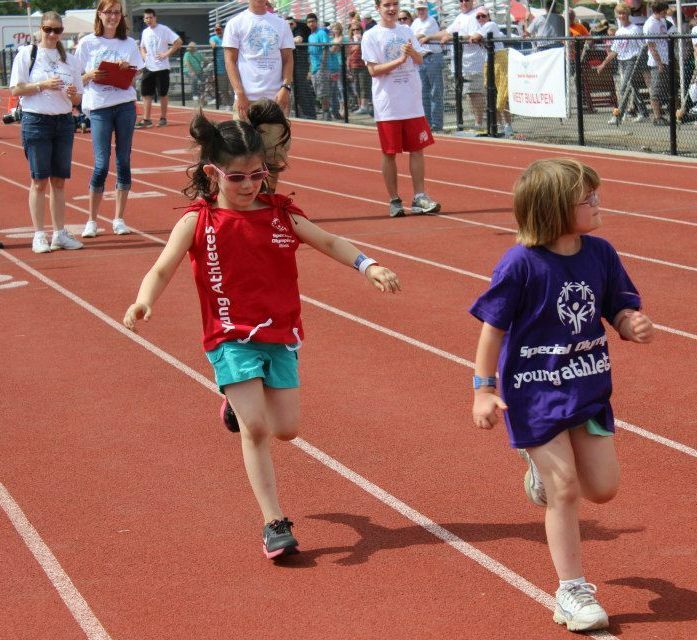 Young Athletes from around the state enjoyed running, jumping, kicking, socializing and so much more during the 2013 Summer Games and we want you to be able to be a part of this year’s exciting events. We have 150 spots reserved for Young Athletes of all ages for the Statewide Culminating Event on Friday, June 13. Spots are filled on a first-come, first-serve basis and we have already begun filling spots due to the fun and excitement of last year’s event! If you are interested in attending, please complete a registration form and return it to the Special Olympics office. Traditional Young Athletes 6 & 7 years of age, with a valid medical application, also have the opportunity to choose between two transitional exhibitions. The 50-meter race and tennis ball throw in athletics or individual soccer skills will both be held on Saturday, June 14. Spots are reserved for only the first 25 traditional Young Athletes with a valid Medical Application can register for only one – athletics or soccer skills. As always, there will be a pizza party, Opening Ceremonies, Olympic town, dance and so much other fun to join in! Young Athletes staff members Jen Marcello, Missy Darling and Bailey Brenner are staying busy with this year’s culminating event season. They are traveling all over Illinois to more than 100 Culminating Events, to assist Young Athletes across the state celebrate their running, kicking, throwing, catching, jumping and balancing skills with friends and family alike. Danville area Young Athletes were excited to host their culminating event at the David Palmer Arena for the first time this year. The rain wasn’t going to stop them this year from showing off their skills for family, friends and community members. All the Young Athletes did an incredible job and we look forward to hosting at the David Palmer Arena again next year. Also, Prairiewood Elementary School showed off their pride and skills at their culminating event with the help of community volunteers. Congratulations to all of the programs for all their hard work throughout the year and good luck to all our Young Athletes! On May 18, the Chicago Fire are inviting friends and family of Special Olympics athletes to purchase discounted tickets to their game. Tickets will be sold at $25 and part of the proceeds will come back to Special Olympics Illinois. In addition, the half time entertainment will be our Unified soccer teams playing a short scrimmage. The Chicago Fire and Village of Bridgeview have gone out of their way to work with Special Olympics and make their events affordable and fun. We hope that you will come out and support the Special Olympics Athletes and the Chicago Fire. Download a Chicago Fire flyer. Kohl’s Children’s Museum in Glenview invites all families to participate in their Everyone at Play from 9:30-11:30 a.m. Sunday, June 8. The museum was specifically designed to be inclusive for all children and adults regardless of ability. The museum’s 17 exhibits and 2 acres of outdoor explorations are designed for play with a purpose and encourage linguistic, cognitive, motor, and social skills for children ages birth through 8. The museum works collaboratively with community organizations to invite families with children with special needs to the museum to explore the exhibits while closed to the general public. This provides opportunities for calm, creative and collaborative play. The 2014 Midwest Golf Celebrity Pro-Am will be held on Monday, June 17, at The Royal Fox Country Club in St. Charles. Registration begins at 9 a.m. and there will be a shotgun start with lunch at 10:30 a.m. Dinner and an auction will take place from 5-7 p.m. The format for this year’s event will match professional athletes and other celebrities with amateur foursomes in a Scramble Format Tournament. We encourage you to be part of this event and join the network of corporations and individuals who contribute to the success of thousands of Special Olympics athletes in the Chicagoland area. Sponsors and individual golfers are still needed. Sponsor packages are available for purchase online or by filling out a form in the brochure. For more information, contact Sandy Hutchins at 630-377-7250 or download a brochure and registration form. The 5k Foam Fest has teamed up with Special Olympics Illinois to bring fun, foam and muddy running to the Chicagoland area. A portion of all the proceeds from the event will benefit Special Olympics Illinois athletes. This event will take place Saturday, June 7, at Fox Valley Off Road, located at 1952 N. 35th Road, Ottawa, IL 61350. All participants will run, walk and crawl their way through the 5K (roughly 3.1 miles) of mud pits and fun, foamy obstacles! The 5K event is open to anyone ages 10 and older. To register and sign up for the foamy fun, visit the 5K Foam Fest site. 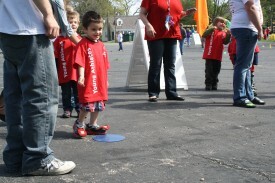 There will be plenty of fun and games for the little ones, too! If you’re interested in volunteering for the event you can sign up online. For more information, contact Cheryl DePaepe at 815-220-8128. Round House Racing has teamed up with Special Olympics Illinois to support their cause for the Dirty Dash on June 28, at Fox Valley Off Road located at 1952 N. 35th Road, Ottawa, IL 61350. All participants will make their way through a course of muddy fun! This race that puts all other races to shame. The Dirty Dash is a mud run obstacle course where a military boot camp meets your inner 5-year-old’s fantasy and subsequently converts boy to man and then man to swine. You’ll need endurance to trudge up mountains of sludge, courage to overcome uncompromising obstacles, a complete lack of shame to wallow in pits of mud and a smile to show through at the end! To register and sign up for the muddy fun, visit the Dirty Dash site. There will be plenty of fun and games for the little ones, too! If you’re interested in volunteering you can sign up online. For more information, contact Sandy Hutchins at 630-377-7250. Known for “Chicago’s Finest Ribs” and superior hospitality, Gale Street Inn is celebrating with an evening of fun to benefit Special Olympics Illinois on May 20 from 6:30-9 p.m.
Join Steve Cochran, Nick Digilio and Patti Vasquez from WGN 720AM at “Are You Kidding Me?” Enjoy dinner and beverages and an evening of laughter at Gale Street Inn, 4914 N. Milwaukee Ave., Chicago. Tickets cost $50 each, all of which goes to Special Olympics Illinois. Thanks to George Karzas, owner of Gale Street Inn, for his generous support! For more information, contact Kathy McLaughlin at 773-278-2178. Registration is live for the Country Youth Classic Golf Tournament which is one of the most prestigious junior golf events in the State of Illinois. 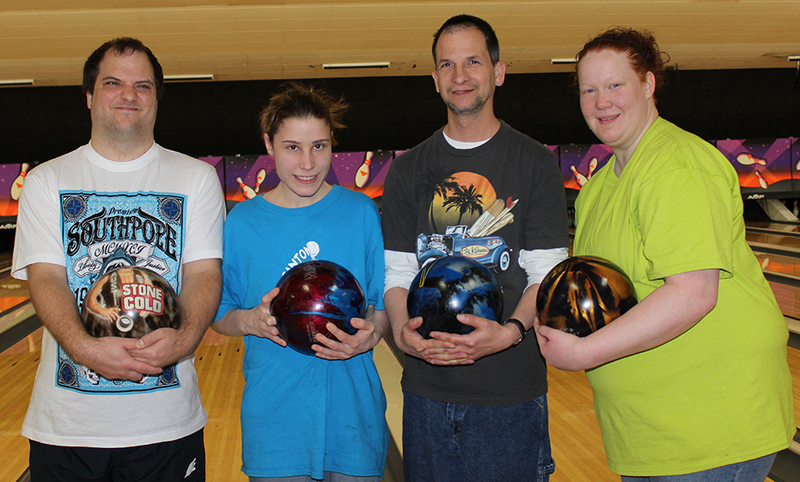 The tournament has a special needs division and invites the athletes of Special Olympics Illinois to participate. Please be aware that all expenses related to the Country Youth Classic are the responsibility of the participant. All golfers must register by June 17. The Tournament will be held from June 23-25 at golf courses in Bloomington-Normal. The Special Needs division welcomes individual golfers and Unified partners to participate in 3-, 6- or 9-hole play. For more information, visit www.countryyouthclassic.com. 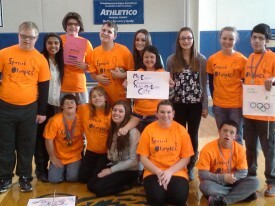 Students at Pontiac Township High School, which is a Project UNIFY school, held their second annual Run for Respect April 12 that involved a 5K run around Pontiac as well as a Virtual Run for people who couldn’t participate in the Pontiac event. Run for Respect involved runners in all 50 states and each continent, including Antarctica! 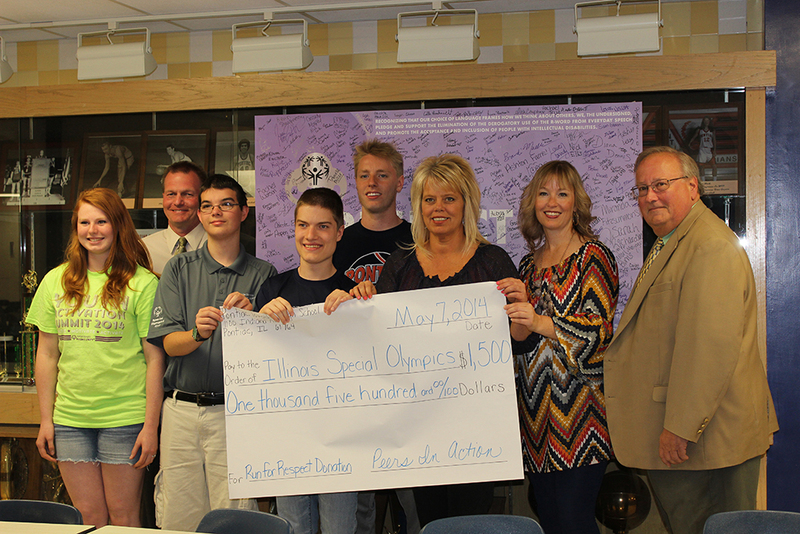 On May 7, PTHS Project UNIFY students presented Special Olympics Illinois President & CEO Dave Breen and Board Member Jim Bednar with a check for $1,500! Seniors at Central Catholic High School in Bloomington spent their last day in school volunteering for a Young Culminating Event for students from cross-town Unit 5 School District. 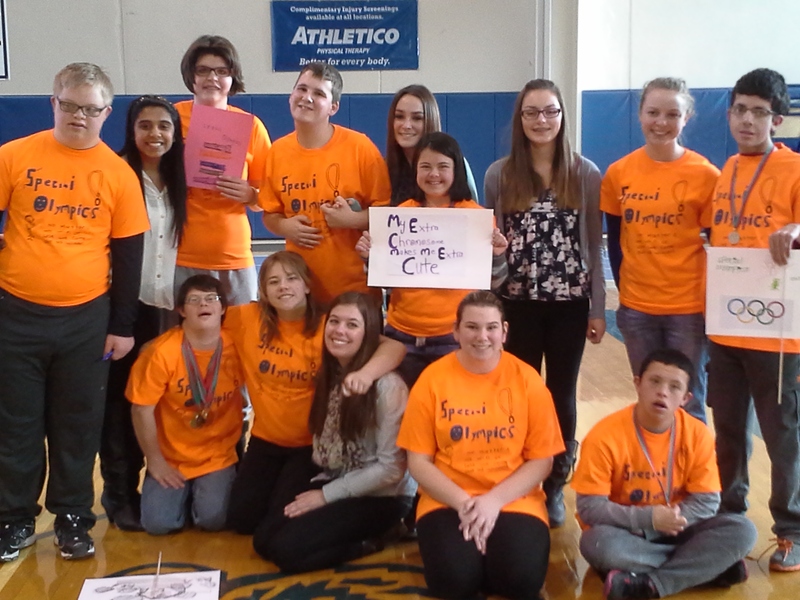 This was the second year that CCHS hosted the Young Athletes and was a continuation of the school’s involvement last year when the 2013 Senior Class named Special Olympics Illinois as their charity for the year. More than 300 Young Athletes attended events in two shifts during the day, where 90 CCHS seniors volunteered in all capacities. Special Olympics Illinois athletes were invited to take part in a halftime demonstration during the Chicago Bulls game on March 13. Fans cheered on great play between the SEASPAR Spartans team, located in the southwest suburbs of Chicago, and the SOAR Chiefs from Bloomington. 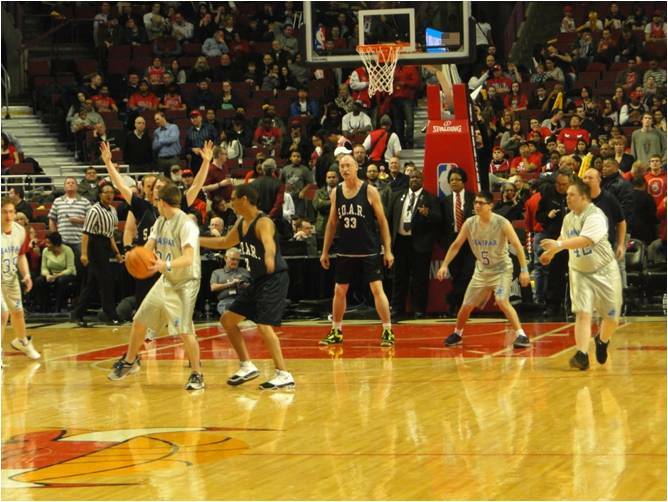 The opportunity to scrimmage on the same court as the Chicago Bulls was a highlight for the Special Olympics players and coaches and, judging by the audience response, they also had a great time. A special thanks goes out to the Chicago Bulls for inviting our teams to play and helping to make this special night happen for our athletes. It will be a game to remember for many. Join Special Olympics Illinois at 2 p.m. Sunday, May 18, for an afternoon with the Chicago Fire. Tickets for this game are discounted to $25 (originally $40) and a portion of the proceeds will benefit Special Olympics Illinois. The Chicago Fire will take on the Sporting Kansas City at Toyota Park, located at 7000 S. Harlem Ave. in Bridgeview. The halftime entertainment will be the Special Olympics Illinois Unified Soccer teams playing a short scrimmage. Tickets can be purchased online at the discounted rate. Larger groups looking to sit together should contact Chicago Fire representative Brad Bauer at 708-496-6761. Special Olympics Project UNIFY is an all ages education based program that is supported through the Federal Department of Education. There are many moving parts to Project UNIFY, though they all share one driving force: the goal of activating young people and giving them the tools, skills, dispositions, and opportunities to build change and to motivate their schools to have true cultures of inclusiveness. For more information, please contact Jen Marcello at 630-942-5612. For the 12th year in a row, Illinois police officers will stake out Dunkin’ Donuts rooftops to benefit Special Olympics Illinois. On Friday, May 30, beginning at 5 a.m. through early afternoon, hundreds of police officers from throughout the state are scheduled to cover more than 170 Dunkin’ Donuts rooftops to heighten awareness and raise money for the Law Enforcement Torch Run to benefit Special Olympics Illinois. Be sure to stop by and support local efforts in your area! The stakes for this year’s rooftop stakeout are high…donations will need to top last year’s total of more than $315,000 raised at 150 Dunkin’ Donuts locations. In return for the police officers doing time at their stores, Dunkin’ Donuts will donate $15,000 to the Torch Run fund. In addition, everyone who visits a Cop on a Rooftop store that day and makes a donation to the Torch Run will receive a free donut. Individuals who donate at least $10 will receive a Law Enforcement Torch Run travel mug (while supplies last) and a coupon for a free medium coffee. Other items, such as Torch Run T-shirts and hats, will be sold for various donation amounts, and other activities may vary by Dunkin’ Donuts location. Eat at any Illinois Chili’s restaurant during the month of June and 15 percent of your Dine In or To Go order (before taxes) will be donated to Special Olympics Illinois! Simply present this voucher to your server during the month of June and you’ve supported the athletes of Special Olympics! Please help us spread the word on this great promotion – forward the voucher to your friends, family and co-workers! Click here to find the Illinois Chili’s location nearest you. Special Olympics Illinois and Missouri have partnered with St. Louis Cardinals Care for the 2nd Annual Special Olympics Night at Busch Stadium on Wednesday, May 21. Cardinals Care has invited 400 Special Olympics athletes to come out and enjoy the game at no cost! In addition, the St. Louis Cardinals are offering a special ticket price for all Special Olympics fans, friends, and supporters. Tickets are in the Right Field Pavilion and are only $15 with $5 of each ticket being donated to Special Olympics. Purchase your tickets here. This offer is only available through Wednesday, May 14. So gather a group and join us as the Cardinals take on the Arizona Diamond Backs. Law Enforcement from Illinois and Missouri will be partnering for the first-ever Law Enforcement Torch Run Tip-A-Cop event at the Flying Saucer at 900 Spruce Street in downtown St. Louis. The event will take place in conjunction with Special Olympics Night at Busch Stadium on Wednesday, May 21. Officers will be trading in their handcuffs for aprons from 4-8 p.m. May 21 to help raise funds and awareness for Special Olympics. Officers will be serving the public in exchange for “tips” to benefit the athletes of Illinois and Missouri. View a flier for the event. Join Special Olympics Illinois for its annual signature Windy City Rubber Ducky Derby event now in its 9th year! On Aug. 7, watch 60,000 ducks splash into the Chicago River from the Columbus Drive Bridge in downtown Chicago and cheer them on as they race towards the finish line! Sales teams are forming now, so grab your friends, family members and colleagues and join in the fun! Duck adoptions are $5 per duck, 6 for $25 or 24 for $100. The more ducks you adopt the greater your odds of winning a 2014 Chevy Equinox or an all-inclusive Apple Vacation! Race Day kicks off at 10 a.m. at 400 North Michigan Avenue (The Wrigley Building) with entertainment for the whole family. Spectators can have their picture taken with Splash, our rubber ducky mascot. All proceeds benefit 21,500 athletes and 18,500 Young Athletes of Special Olympics Illinois and allow these athletes to compete in year-round sports and training competitions through the state. To learn more about forming a team, adopting ducks and further event details, click here. On Sunday, June 22, get moving for a great cause! Chicago’s Color in Motion 5K takes your typical race and kicks it up a few notches – and hues. As you trek around the city blocks of Lincoln Park you’ll be bombarded by explosions of vibrant color. Don’t worry, it’s safe (and loads of fun). If you’re not interested in 3.1 miles of running or walking, please consider helping with the prismatic parade. We’ll need helping hands along the course to throw color at the runners, hand out water and so much more. Registration is open for both runners and volunteers! Color in Motion is sponsored by KISSFM and, for the first time, USG Corporation! 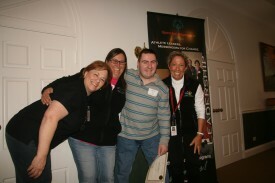 Special Olympics Illinois is proud to be the Color in Motion Charity Partner for the second year in a row. Color outside the lines with SOILL and help us earn some green for our more than 21,000 athletes. For more information on signing up as a runner or volunteer, or for race event details, please click here. Help support Special Olympics with this year’s P&GbrandSAVER® and Thank you, Mom promotion! Check this past Sunday’s newspaper for your P&GbrandSAVER® coupon books. This promotion is based on coupon redemption: Special Olympics will receive 2 cents for every coupon redeemed at checkout. There is no limit to the donation from P&G, so the more coupons redeemed, the higher the gift to Special Olympics! The coupons expire and the promotion ends June 30. To find a local newspaper carrying the P&GbrandSAVER® coupon book, please click here. 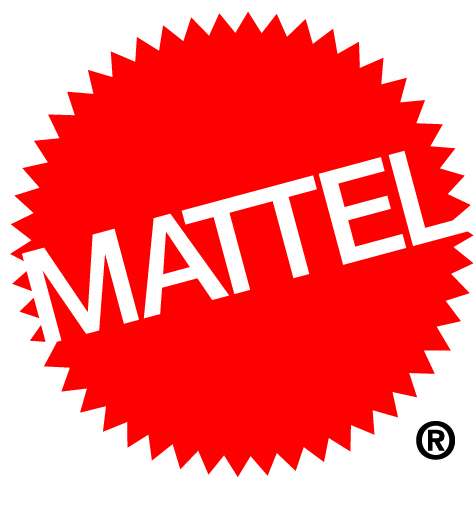 What people may not know is the generous support Mattel shares with Special Olympics Illinois. 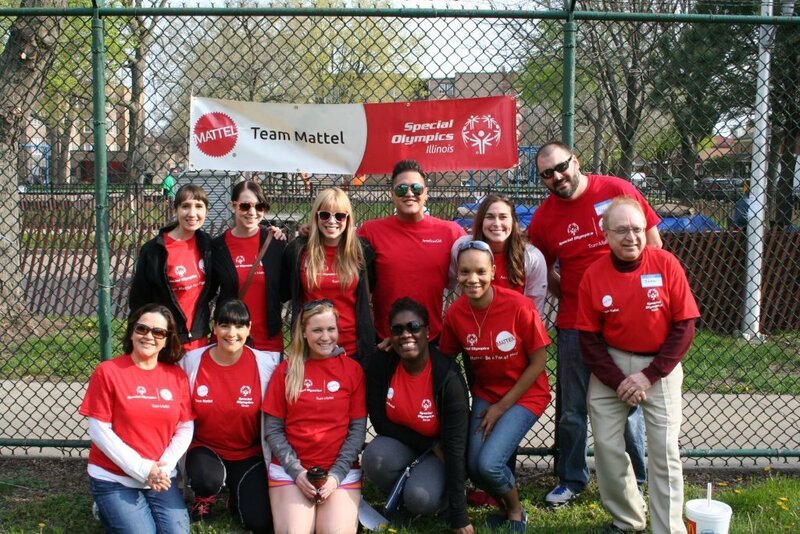 For more than ten years, the Mattel Foundation has shared funds to support the Special Olympics Illinois Spring Games hosted in Chicago by Area 3. 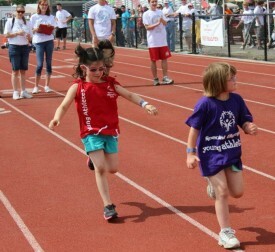 In recent years, Mattel contributions have also supported the Special Olympics Illinois Summer Games. 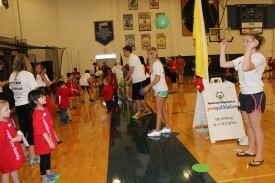 Mattel employees have shared hundreds of volunteer hours to support Special Olympics Illinois athletes. 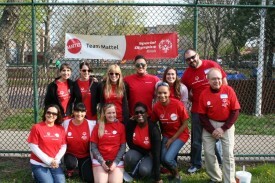 Employees of American Girl, one of the Mattel brands, have volunteered for 10 years at the Special Olympics Chicago Spring Games. Tickets for this game are discounted to $25 (originally $40) and a portion of the proceeds will benefit Special Olympics Illinois. The Chicago Fire will take on the Sporting Kansas City at Toyota Park, located at 7000 S. Harlem Ave. in Bridgeview. The halftime entertainment will be the Special Olympics Illinois Unified Soccer teams playing a short scrimmage. Tickets can be purchased online at the discounted rate. Larger groups looking to sit together should contact Chicago Fire representative Brad Bauer at 708-496-6761. Special Olympics Project UNIFY is an all ages education based program that is supported through the Federal Department of Education. There are many moving parts to Project UNIFY, though they all share one driving force: the goal of activating young people and giving them the tools, skills, dispositions, and opportunities to build change and to motivate their schools to have true cultures of inclusiveness.